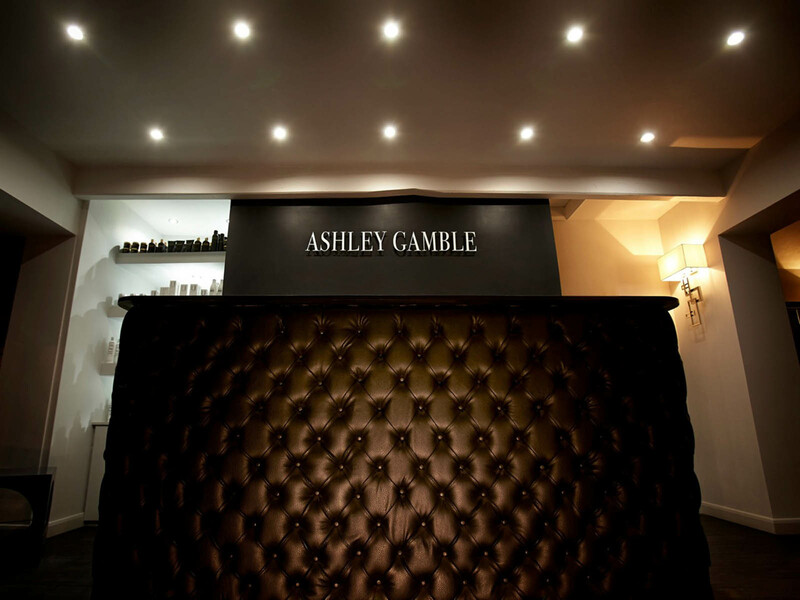 Nestled in the heart of the picturesque Shropshire village of Shifnal lies Ashley Gamble Hair and Beauty, the ultimate destination for glamour and relaxation. Combining high-end hairstyling with the latest beauty treatments, we offer bespoke solutions to suit your hair, skin and lifestyle. Using cutting edge techniques and exclusive organic brands, you’ll find a warm welcome in opulent surroundings. Ashley and Stephanie have been working together for more than 15 years and understand exactly how to create the perfect salon experience. Over the last three years, our reputation has grown alongside our team. Come in, unwind and let us transform you. Ashley’s unique cutting skills and precise attention to detail have gained a loyal following over the years. With experience ranging from the catwalks of London fashion week to glossy magazine covers, Ashley has honed his techniques to perfection. But his salon client base is where his passion truly lies. Making clients look and feel great every day is his key motivation and explains why so many travel far and wide for an appointment. He understands that your hair is one of your most important beauty assets and works hard to achieve stunning results. From the perfect blow dry, to a brand new look, every salon experience leaves clients feeling fantastic. It’s no wonder we’ve caught the attention of Vogue’s prestigious salon guide. A highly professional, ever-expanding team of stylists handpicked by Ashley means you’ll always be in safe hands and receive a superior standard of service. You’ll be given a complimentary consultation and expert advice so you walk out of our salon feeling like the best possible version of yourself. Our ability to achieve the perfect colour is unrivalled and our exclusive colour lounge is a draw for clients from all over the country. With expert consultation and head-turning results, it’s no surprise 81% of our clients now choose to have their hair coloured. And it’s not just clients who recognise our colour expertise. Stephanie has reached the finals for Colourist of the Year in the British Hairdressing Awards for the second year running and Olivia was 2015 Young Colourist of the Year for L’Oreal. To add to this, Stephanie achieved one of the highest-ever marks (98%) for her L’Oreal colour degree and Olivia is one of less than five per cent of colourists accepted for the prestigious Schwarzkopf colour degree. Our colourists are highly skilled professionals who take every individual client’s skin tone, eye colour, personality and look into consideration. We specialise in ombres and subtle root drags, using the newest techniques and a delicate hand for beautiful, premium quality results with a lasting finish. Whether it’s a natural, ‘has she, or hasn’t she?’ look or a bold change of colour, each colour experience is unique, considered and executed to perfection.